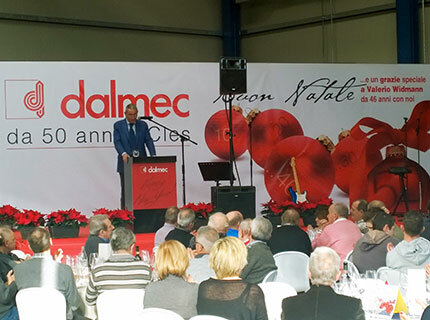 It has been 50 years since Dalmec built the first plant in Cles in Trento street. In 1964 the small productive unit settled in Cles started to pulsate and it was much larger than the original workshop in Tuenno. This anniversary has been worthily celebrated during the end-year party held on 23 December 2014.